Chesterfield is constantly evolving - the historical features of the town are complemented by the new developments aiming to bring the town into the 21st Century. Out in the town centre yesterday Charlie, a pupil at St Mary's High School who is working with us this week, interviewed members of the public to get their view on what's happening and how they feel towards the town itself. Mr and Mrs Mc Laughlin from Bolsover were out shopping and they were positive about all the new investment coming in to town. 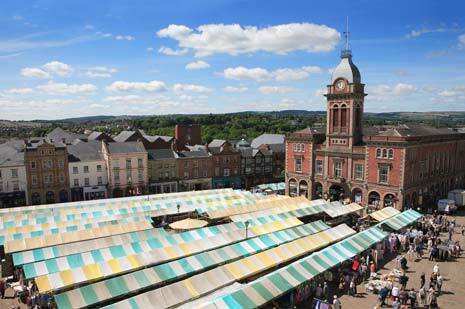 What's the best thing about Chesterfield to you and your family? "It's the nearest town we have, it doesn't take a long time to get here and it has everything we need!" "I think it will be good for the town; there are lots of shops that have closed so hopefully the new investments will help to resolve this problem." Do you come to town a lot? "Yes, at least once a week, obviously for the children's needs etc." What sort of investment would you like to see in town? "Most things we need are already here which is good, although I would like to see more children's clothes shops because the town really lacks them." Do you visit local food shops or do you go to big-chain supermarkets like Tesco for your food? "I usually go to local food shops and stores near me really, mainly because it's easier." Are you interested in the football club? (Chesterfield FC) - and do you think they can go far this season? "Yes I think they will do well this season, hopefully top three. The signings that we have made are good, because last season we had a lot of loan players which could go back at any time, yes they could play well for the team, but then they could leave unexpectedly. This caused problems in the squad because they lacked consistency. "This season, I think Tommy Lee (Goalkeeper) will have a defensive line which understand each other and play well together." Another lady, out enjoying the sunshine and waiting for her daughter, also shared her views on the town. She had always lived here. Do you enjoy visiting the town centre? "Yes. 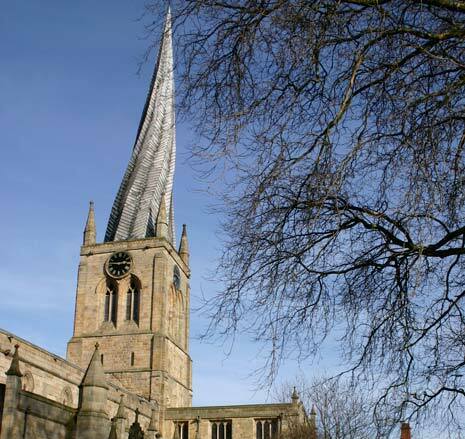 I come most days, mostly because I love the Crooked Spire." You said you come most days to visit the town, is that to buy shopping or is there another reason? "I come to get out of the house, my daughter is at university, so I come and get some lunch then sit down and 'people watch' really." What is the best thing about Chesterfield? "It used to be the market, but unfortunately the rents are too expensive for people to buy a stand, so it would have to be the Crooked Spire." 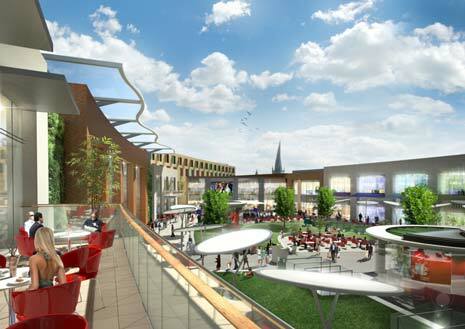 What sort of things would you like to see in town with the new investment coming in? "Something for the younger ones. The cafes are so expensive at the moment. There should be a place where mums can sit down and grab a cup of coffee, somewhere that's toddler friendly, a younger persons place. The town has places like Costa, but they are too expensive and they aren't child friendly really." What has changed the most in your eyes over the years as Chesterfield has developed? "I would have to say the market. I don't understand why we can let people have stands on a Monday for ten or twenty pounds, but they can't do the same for traders during the week, it doesn't make sense. "Also they are spending money on the Market Hall; they are spending huge amounts of money to renovate it and even though the cafe inside has been there for as long as I can remember, they are not re-building it." It would seem, after speaking with shoppers in town today, that old things like the market are still loved by some of the local people. They aren't sure about all the new trends because they love the history of the town. Others want new shops like kids clothing sellers and they believe new investment will help the town. Different views mean a headache for planners as they find a way forward for Chesterfield by investing in the town centre. For more information on the Northern Gateway development and how it will change the town, visit www.chesterfield.co.uk/developments/Northern-Gateway.